Inch and metric gage blocks available in individuals and sets, in a wide assortment of grades and configurations, including 81 and 36 piece sets. 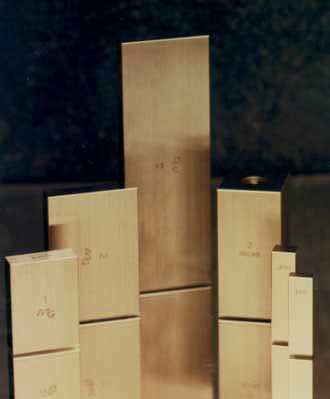 Rectangular gage blocks are available in steel and carbide; square blocks are available in steel. Long gage block sets available (picture below). Each block has it’s own serial number. Blocks are available in US Federal and DIN standards. Sets are provided in a fitted case.